Around airport runways, land tends to lie unused. Pilots require visibility to land safely, so tall buildings clustered around runways aren’t ideal. 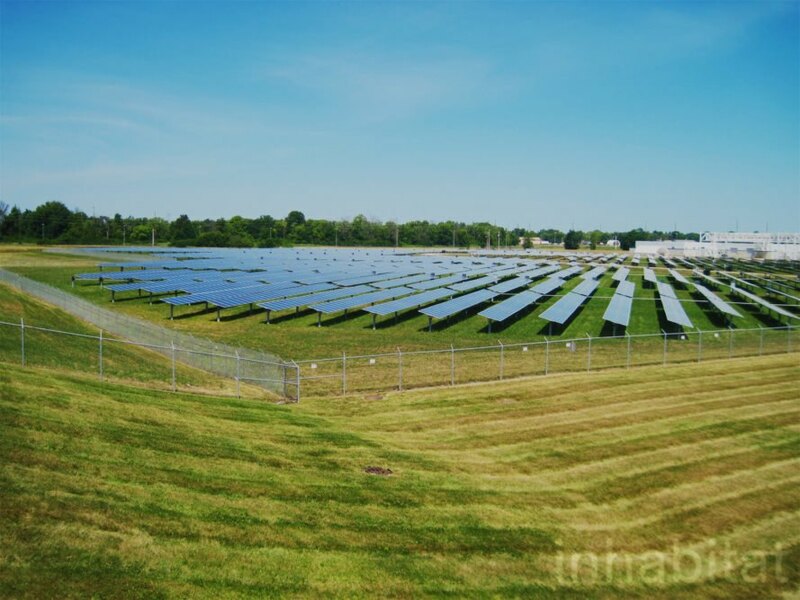 Keen to find a better use for all that unused land, the Indianapolis Airport Authority in Indiana decided to build a massive solar farm that would generate clean energy for the grid. 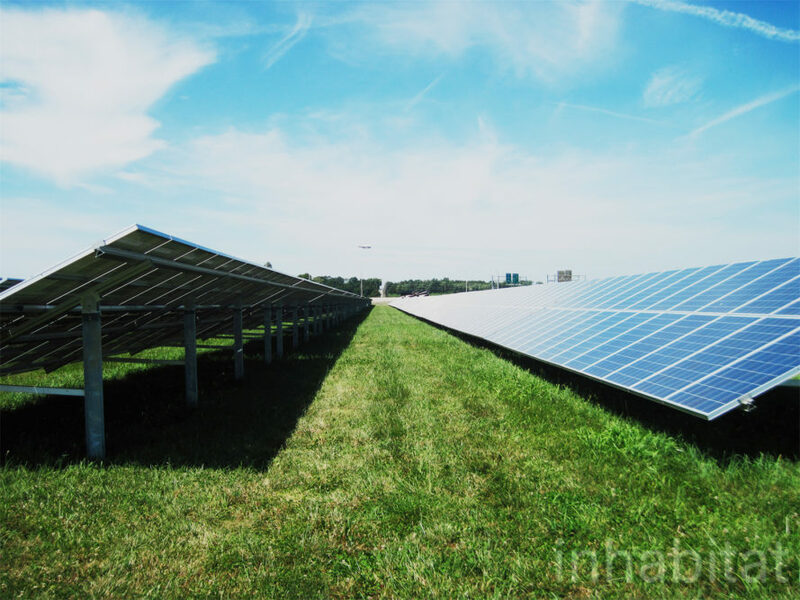 It's called the IND Solar Farm, and it generates enough energy to power over 3,000 homes. 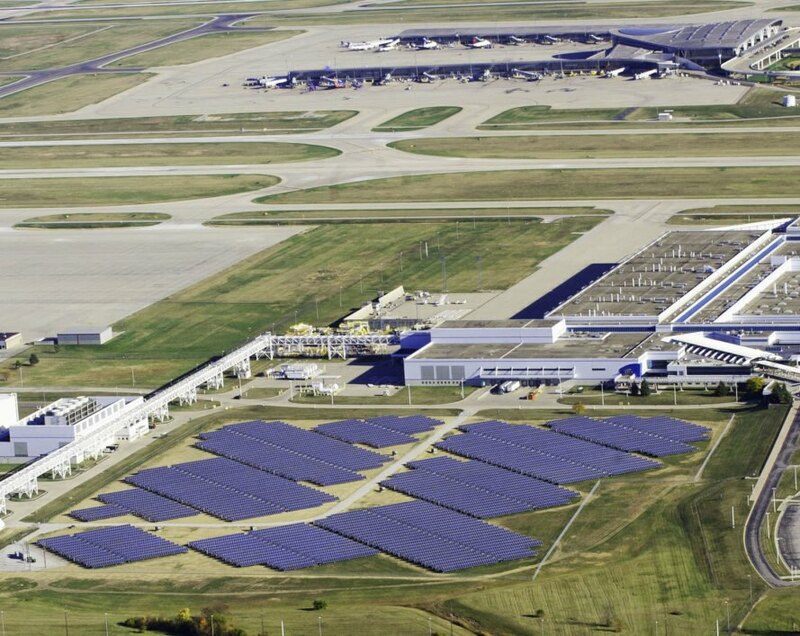 A few other airport-based solar farms exist, but none are as massive as the IND Solar Farm. During three phases, the solar farm sprawled across 183 acres. 87,478 panels generate as much power as 3,650 homes would use. In total, the vast solar farm generates 20 megawatts (MW) AC and 25 MW DC. Compare that with the Denver International Airport Solar Farm, which has the capacity to power around 2,595 homes with 10 MW. Phase 1, which comprises 44,128 stationary panels, is the site closest to the runways. The Phase 1 installation appears to undulate, like gentle ocean waves. Rather than flattening the land, the airport authority had the solar panels installed right on top of natural land curves. As I snapped photos from a highway overpass, an airplane flew over the Phase 1 solar panels to land on the runway just beyond. For Phase 2a, the team switched from stationary to tracking panels to “comply with the Optical Study requirements under revised Federal Aviation Administration (FAA) regulations on solar projects constructed on airport property,” according to Ebbing. 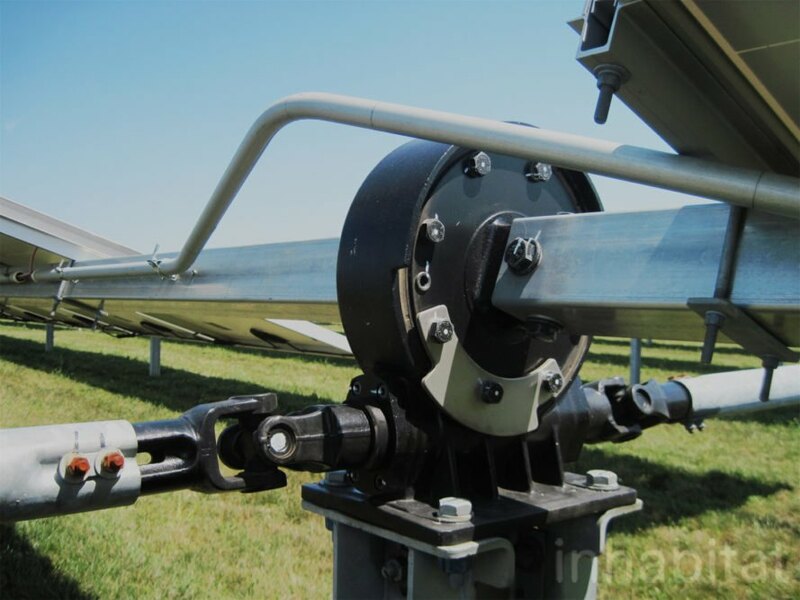 The 31,100 remotely-controlled tracking panels can be turned 110 degrees, or adjusted just a few inches to best take advantage of the sunshine. Phase 2a is divided by a road and trees to preserve the habitat of the endangered Indiana bat. A river runs through the oak and poplar trees, providing a great place for mosquitoes to live, and the bats eat the mosquitoes. Close by Phase 2a is the third phase, Phase 2b, which at 11,250 tracking panels is the smallest phase. “We have the largest airport-based solar farm in the world. We’re the top of the pinnacle now,” said Ebbing. So who gets the energy from the IND Solar Farm? Contrary to what you might expect, it’s not wired directly to the airport, but to the grid. Local energy companies gather the power and pay the airport rent. 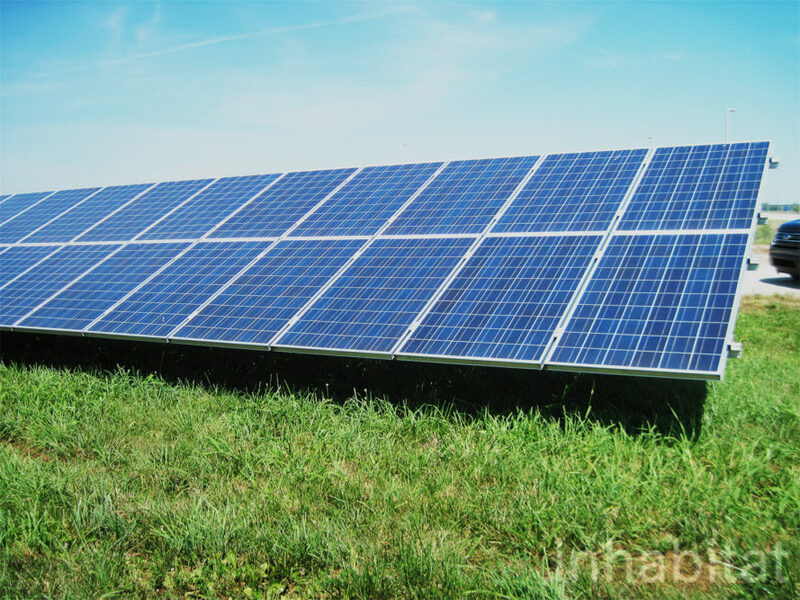 The energy companies will be able to lease the solar panels for 30 years to start. 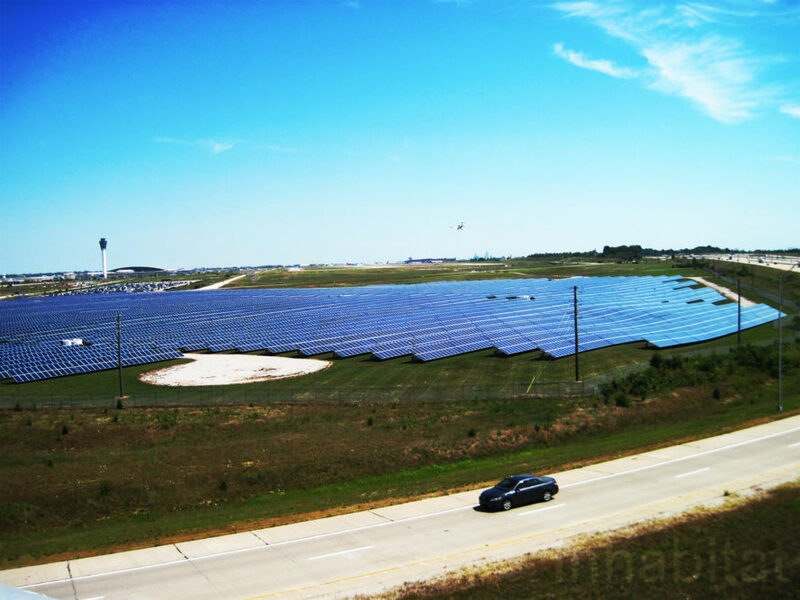 The airport never actually spent money on the IND Solar Farm; rather, private sources fully funded it. Another question that commonly pops up is concern the panels will blind pilots. That’s not the case, Ebbing said. He pointed out that solar panels absorb light – they don’t reflect it. While some parts of the solar installation in Phase 1 include aluminum cross-rails, which are more reflective, the panels rest over the aluminum frames so pilots don’t see them. Ebbing said white buildings actually reflect more light than solar panels. Planes can be seen flying over the solar farm. The solar farm sprawls across 183 acres. Phase 1 is comprised of stationary solar panels. There are 44,128 stationary solar panels in Phase 1. Phase 2a and Phase 2b are both comprised of tracking solar panels. The tracking solar panels can be turned 110 degrees. There are 31,100 panels in Phase 2a. Phase 2b is comprised of 11,250 tracking solar panels. The IND Solar Farm generates as much power as 3,650 homes would use. The IND Solar Farm generates 20 megawatts (MW) AC and 25 MW DC. 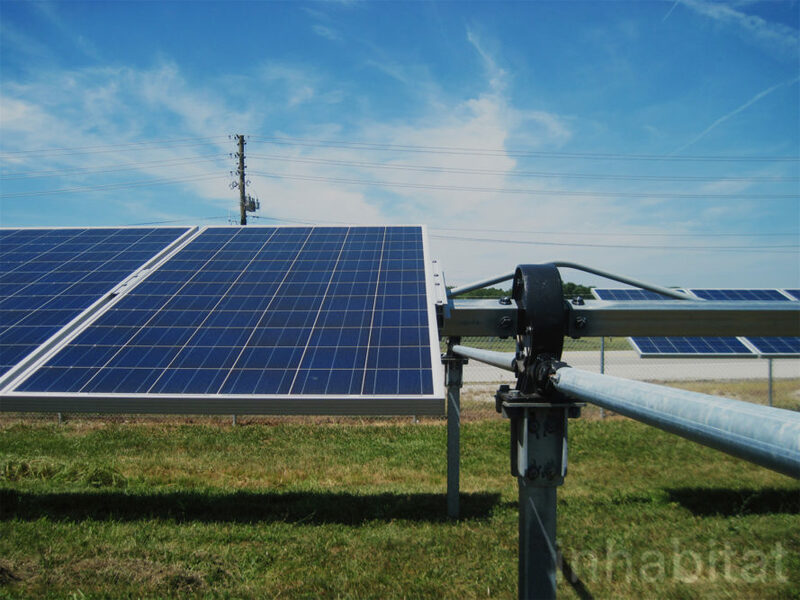 The solar farm is wired to the grid, and local energy companies collect the power. 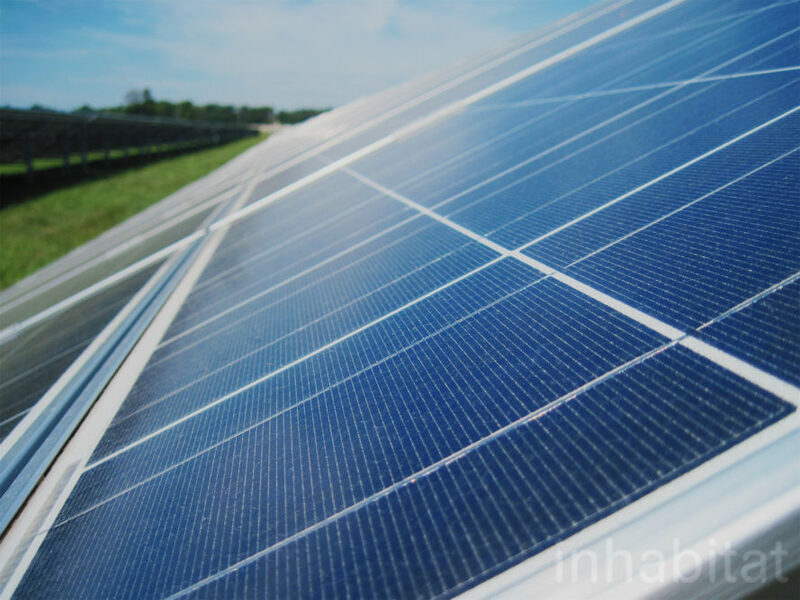 The energy companies will lease the solar panels for 30 years to start.